Like sharing a cup of coffee with a friend, Lysa TerKeurst and Whitney Capps invite you to join them for one minute of encouragement and inspiration through casual, yet essential spiritual truths you can apply to your life. Their transparency and openness creates a unique connection with women, making them want to tune in time and time again. You can hear the Everyday Life radio feature on your local radio station, on iTunes or on our website! Lysa TerKeurst is president of Proverbs 31 Ministries and the New York Times best-selling author of Uninvited, The Best Yes, Unglued, Made to Crave and 16 other books.  As president of Proverbs 31 Ministries, Lysa and her team have led thousands to make their walk with God an invigorating journey through daily online devotionals, radio programs, online Bible studies, ministry training and more. Though she has been a featured guests on “Focus on the Family,” “The Today Show,” “Money Matters,” “Good Morning America” and “Oprah,” she struggles with laundry, junk drawers and cellulite just like the rest of us! Whitney Capps is a national speaker for Proverbs 31 Ministries and co-host of Everyday Life with Lysa. Whitney also serves as a writer for Proverbs 31 Ministries' Bible app, First 5, reaching more than 1,000,000 people daily. As a Bible study geek, Whitney’s delight is to dig into God’s Word for profound yet practical truth. A communicator at heart, Whitney comes alive sharing those truths with any gal who will give her even a few minutes. In her former life she served as a talent acquisitions professional for the corporate office of Chick-fil-A. This invaluable (and AMAZING) experience gave Whitney her love for helping women connect their passion with their purpose for the glory of God. A girly-girl living among all boys, Whitney and her husband Chad are raising their four sons, Cooper, Dylan, Ryder and Tate, just outside Atlanta, Georgia. Her house is wild, loud and littered with Legos. Whitney is addicted to shoes, jewelry and ice crunching. Additionally, Whitney served her community as the local Bible Study Fellowship Teaching Leader for several years.